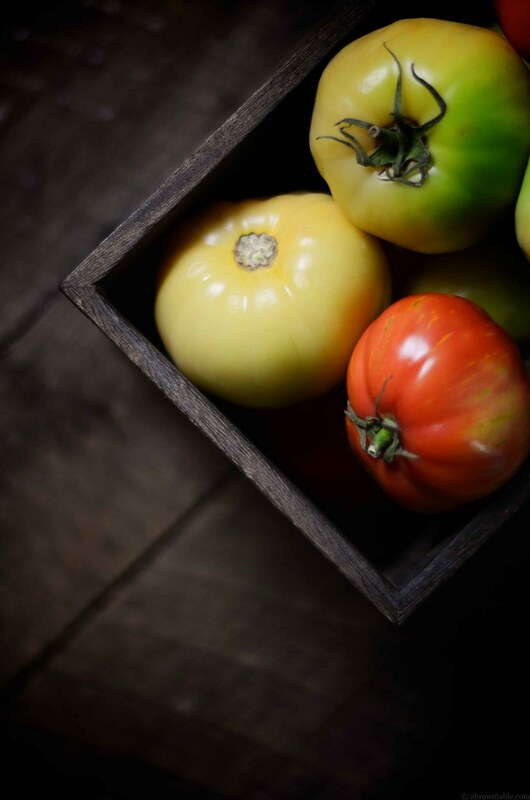 There's no better way to symbolize summer in a kitchen, than a bunch of colorful and mismatched heirloom tomatoes. They are vibrant with hot and radiant colors, it's as if the sun got absorbed into one big juicy ball of deliciousness. Whether eaten fresh or cooked their flavors are rich and as appealing as their looks. These heirlooms turned out to be perfect in my spicy relish. 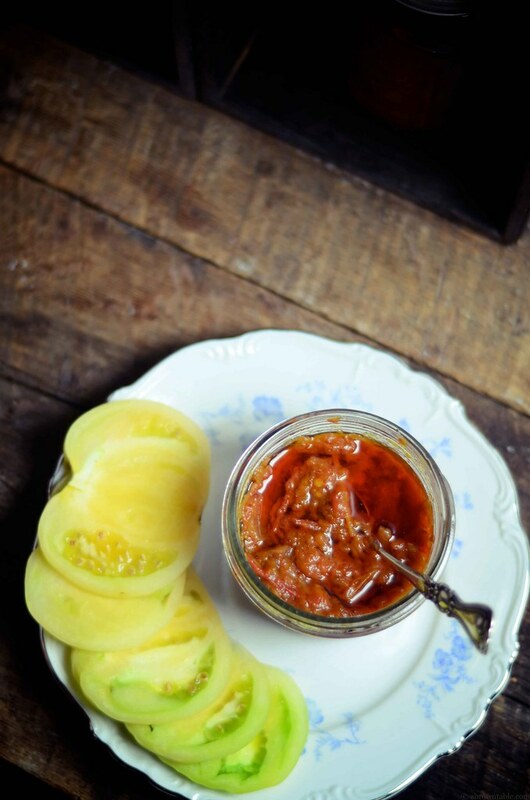 I've been looking to create a hot relish for a while that would remind me of a good Indian pickle that would be hot and sour but mildly sweet. The cider and dash of brown sugar help to enhance the natural sweetness of the tomatoes and the heat of the chilies and spices. 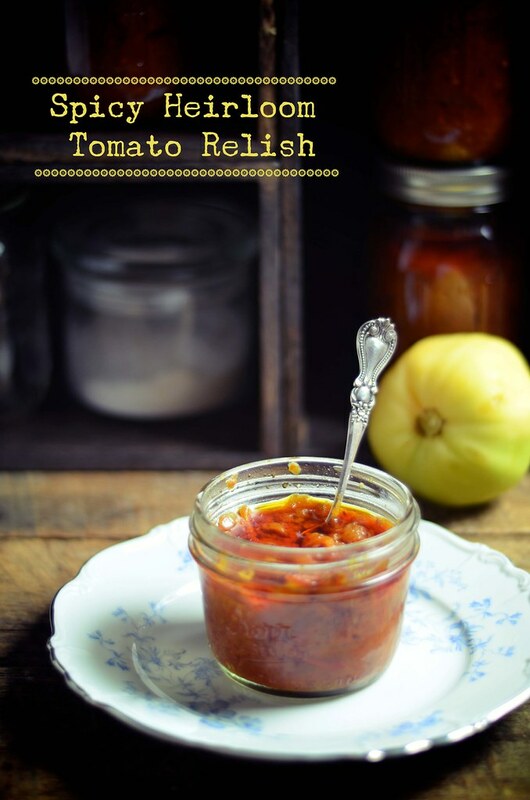 As with most Indian chutneys, pickles, and relishes, this tomato relish is fantastic with any meal. 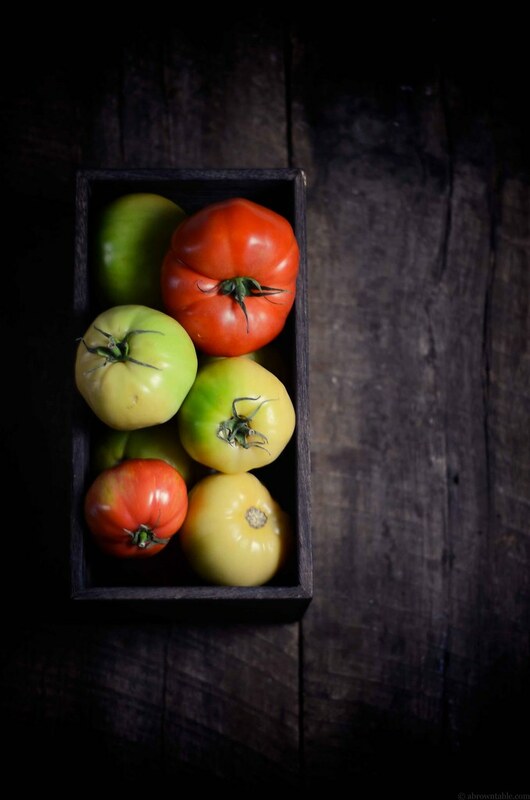 Just a note of caution, whenever selecting tomatoes for canning, go with red or pale yellow tomatoes versus the greener ones as the greener varieties contain a toxic compound called solanin. Canning is a cooking process that concentrates flavors and compounds and using a large number of green tomatoes will increase the amount of solanin. So please keep this in mind while preserving tomatoes by any concentration process. I could have peeled the tomatoes before cooking them but it just didn't feel right. I like the texture, it somehow makes the relish feel and taste even more "tomatoey" .If you want to get rid of the skin, then cut a cross or "X" mark at the bottom of each tomato, then dunk the tomatoes in a pot of boiling water for 20 seconds and transfer the tomatoes into an ice-bath. Let them cool and the skin will come off easily when you peel. 1. 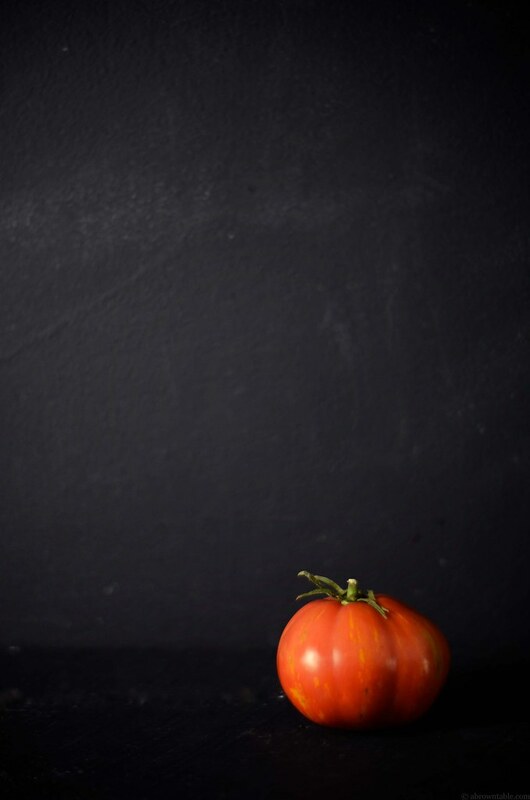 Wash and wipe the tomatoes dry, remove the stalks if any and dice the tomatoes into large chunks. Discard any seeds. Keep the tomatoes aside. 2. In a coffee bean grinder, grind the chili flakes, fennel, coriander, and cumin to get a coarse powder. 3. Heat the oil on a medium high flame in a large thick bottomed saucepan. As soon as the oil begins to smoke, add the ground spices and turmeric. Stir for 15 seconds and reduce the flame to a gentle simmer. 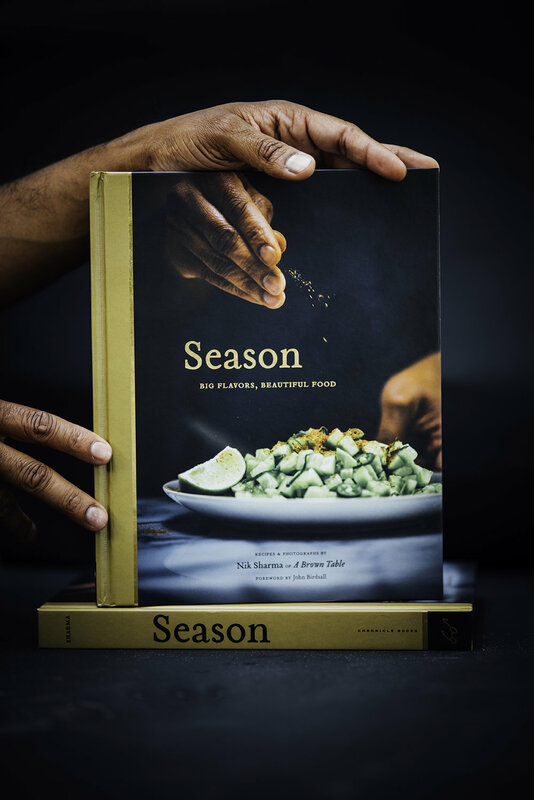 If the spices begin to burn, discard the oil and begin again. 4. Stir in the onions and cook for another 5 minutes. Trim the stalks off the chilies and slit them across their length. Add the chilies to the saucepan and cook for another 2 minutes with constant stirring. 5. Add the tomatoes to the saucepan and increase the flame to a high. Add the vinegar and sugar. Bring the mixture to a boil and reduce the flame to a medium high. Stir constantly to avoid any burning. Continue to cook the mixture until most of the liquid has evaporated and the oil begins to separate from the tomatoes. The mixture should turn into a thick paste. Taste and adjust the salt as necessary (You can also add a little vinegar to it, if you want to make it more sour). Remove the saucepan from the stove and transfer into 4 clean and sterile 500ml canning jars. Process for 15 minutes and store in a cool dry place. In "Canning", "Chutney", "Indian", "Tomatoes", "Vegetarian", "heirloom tomatoes", "heirloom", "pickling", "relish"